Dog Urine Color – Why is My Dog’s Urine Yellow or Brown/Yellow/Red/Orange? The contents of this article have been reviewed and authenticated as accurate by a licensed Veterinarian, Jacob Hiller DVM. This information is provided to you as general information and not to be used for diagnostic purposes or medical advice. If you have any doubts or concerns, you should contact your local Veterinarian immediately. Ever see your dog’s urine color change? Wondering why your dog has blood and/or brown color in his or her urine? Keeping an eye on what goes in and out of your dog is important to their health. Just as we unconsciously keep mental notes of what our urine looks like, we should do the same for our dogs. Dark urine or blood in your dog’s urine could be a serious health issue that you may need to address immediately with your veterinarian. To start, you should take several close looks at your dog’s urine. What is the color? Is it dark? Is it clear, light yellow, bright yellow, dark yellow, brown, orange, or a reddish-pink? Each color and shade has its own indications. You don’t want to jump the gun though if your dog only had one episode of atypically colored urine. For example, one episode of dark yellow or clear urine may mean nothing serious at all. It may just mean that your dog hasn’t had anything to drink in a few hours or he/she had too much water in a short amount of time, similar to humans. So if you notice one episode of dark urine in dogs, generally there is no need to panic. But if your dog’s dark urine continues, you should consult your veterinarian. After an active session of fetch our Pomeranian tends to drink too much water. The next few times he goes to the bathroom his urine will be clear. This is a perfect example that a few uncommon movements is nothing to fret over. We recommend examining your dog’s urine color over the course of a few days before worrying. We recommend examining your dogs urine color and behavioral changes such as: frequency, lethargy, water intake, straining to urinate, or not producing any urine etc. If these tend to be increased or decreased seek medical attention. Veterinarian Jacob Hiller has seen dogs that have had urinary blockages due to stones or mucus plugs. In such cases if the dog is not producing any urine or squatting and producing very little urine, it can be life threatening within hours. Cases like those need immediate attention. 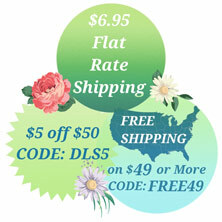 Keep an eye on the color to ensure it varies between clear and light yellow. Monitor urinary frequency and water intake, if consistently increased contact your veterinarian. Ensure your dog drinks water, if color returns to normal, no further action is necessary. If your dog refuses to drink, or has abnormal behaviors such as increase in frequency, lethargy, water intake, straining to urinate, or not producing any urine etc. seek professional advice. Potentially stress induced, cystitis, urinary tract infection, trauma, neoplasia (cancer), stones, clotting disorders, liver disease, kidney failure, toxin ingestion as well as severe dehydration. Professional aid is advised. What Does Clear/Light Yellow Dog Urine Color Mean? This is the color your dog’s urine should be. There should be a mixture of clear to light yellow urine whenever your dog pees. This means that your dog is well hydrated and is probably not suffering from any serious illnesses of their vital organs. But, if your dog’s pee is consistently clear with little to no yellow at all, then this could indicate over-hydration. Dogs tend to repeatedly over-hydrate if they are constantly feeling thirsty from a kidney infection or failure. Increase water intake as well as clear urine with an increase in urination can also be associated with a disease called Cushings disease- which is an over production of cortisol, as well as diabetes insipidus. If you see this, you should take your dog to the veterinarian for testing. Dark yellow urine color in dogs often indicates dehydration. Dehydration may occur if your dog has an illness which also has signs of (or can be seen with) lack of appetite, diarrhea, and vomiting. Make sure your dog has access to fresh, clean water so they can hydrate themselves. If your dog refuses to drink or has any other clinical signs, then seek advice from a veterinarian, as your dog may be sick. What Does it Mean if my Dog’s Urine is Brown/Orange/Reddish-Pink? 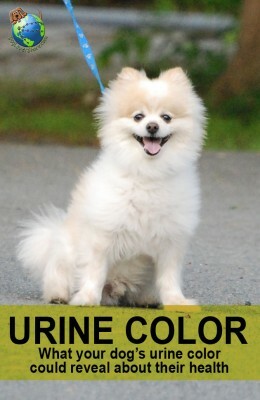 Typically with this color urine you should seek attention from a veterinarian immediately. Orange and brown urine color in dogs could indicate the release of an oxygen and iron binding protein called myoglobin that is found in the muscles of a dog. This protein is released when the muscles are stressed. For example, if your dog barks excessively at something like thunder, the muscles that are used to bark and run around may become aggravated, therefore becoming temporarily damaged and fatigued, leading to the release of myoglobin. This condition is rather rare, but it is important to mention. Typically, you won’t be able to tell by yourself if your dog has any interior muscle damage, which is why you should go to the vet. Bilirubin may also be released, which is a brown/yellowish pigment, found in bile made by the liver. If the liver is not functioning properly, too much bilirubin may be produced. Brown dog urine color could also indicate old blood in the urinary tract. Old blood could be caused by a past kidney infection, kidney/bladder stones, bladder infections, or tumors. If there is pink or red in your dog’s urine it could indicate current problems with any of the aforementioned causes of brown urine. This means, your dog could be currently suffering from kidney stones, a bladder infection, a urinary tract infection, cystitis, trauma, neoplasia (cancer), stones, toxin ingestion, clotting disorders as well as severe dehydration. In an event you see these urine colors, you should seek medical attention immediately. Secondly, take note of how your dog is behaving. If you see several instances of unusual colored urine along with atypical behavior you may want to take action. Atypical behaviors may include your dog laying around excessively, not acting like him/herself, not drinking, not eating, not moving, or whining in pain. Any of these could be a sign that your dog may be suffering from an illness. If you have issues catching your dog when he/she is in the act, you may have some interest in our Dog Potty Training/Housebreaking Bathroom Bells. They are training bells that your dog shakes at the door when they need to go out to the bathroom. Don’t get too worried just yet if you only see one or two incidents of abnormal dog urine color but your dog seems to be his/her happy self. Your dog may just be partying at the water bowl too much! Be sure to never limit your dog from access to water. If your dog is constantly at the water bowl looking to drink, there is an underlying reasons and you should seek veterinarian attention. Also, be sure to take notes throughout the day of your dog’s urine and consistent behavior. If the pee color goes back to normal then there may be no cause for concern. Just remember to take a mental note for the future in case your dog’s urine color changes again.